Membership by Baptism: Any person professing faith in the Lord Jesus Christ as his Savior and declaring it as his purpose to follow Him as His disciple, may, by a unanimous vote of the congregation at any of its public services, be received through baptism by immersion into full membership of this church. Membership by Letter: Members of other Baptist churches of like doctrine, who have been baptized according to the New Testament, may by a unanimous vote of the congregation at any of its public services, be received into full membership of this church in good and regular standing upon receipt of letters of dismissal from those churches. Membership by Statement: Any person who has at some time been a member of a Baptist Church of like doctrine, and who has been baptized according to the New Testament; but, whose membership has lapsed or been lost may, upon statement of the facts and the vow of their faith and love to Christ, be restored and received to membership by unanimous vote of the congregation at any of it's public services. 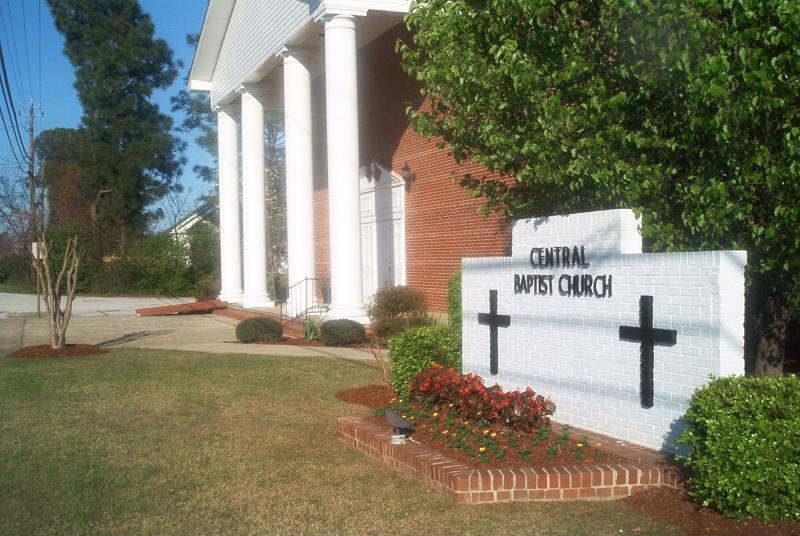 Attend Sunday morning, Sunday evening, and Wednesday night weekly worship services. Participate in a Sunday School Class on Sunday mornings. Worship is a personal encounter with the Living God in which we find ourselves deepened in our faith and strengthened for service. At Central, we believe that touching the lives of people through dynamic, corporate worship is an important means of bringing people to experience their full potential in Christ. Our commitment to dynamic, corporate worship is expressed in the way we plan and design worship experiences. Sunday Morning and evening and Wednesday evening worship at Central is prayerfully planned to lead each worshipper to an encounter with God. The music spans a spectrum from the traditional to the contemporary. Congregational singing is an important dimension of the experience. We sing both hymns and choruses to express our worship to God. The preaching of God's Word addresses the real-life needs of contemporary people.